Beth is a twenty-four-year old woman raised by the mob. Sheâs never gotten herself into a situation her family couldnât drag her out. So when those closest to her wind up dead or missing in action sheâs left to her own devices, and she quickly realizes how hard it is to survive on her own. Damien is a corpsman coming home from war with the hopes of starting over. He knows what he wants and heâs accustomed to getting it. So when he finds himself falling for a girl stumbling through lifeâlike he once didâheâs determined to help her, whether she wants help or not. I just finish reading this book and I have to say that I love it, love the characters and how the book turn out to be. I am going to keep this sweet and short since I don't want to give anything away. this is the second book in series ( An incapable world) if you read the first book (INCAPABLE) than you all ready met Beth this is her story. Beth works at her Aunt Mona pub, she is also the waitress with the sass mouth and she works long hours, one day when she was running late she find Mona at the pub and they started talking, that's when Mona talk to her about her friend Damien, that's when Beth told her to stop playing match making with her, what Beth did not realize was that was going to be the last time that she talk to her Aunt, and that was the first time that she met Damien and what she felt for him got her spooked. After that day Beth life came to be turn up side down. After a night of bad news Beth did not know who to turned to but her best friend Carried what she did not expected was for Carried to take her to the last person that she thought she would get to see again Damien. That's when Beth started to spend more time with him and got know him a little bit more. But their is one person standing in their way Damien mother will they get to have their happy ending. I love how Beth and Damien are with each other, love it how Damien always let Beth have her way, love it how Beth stand up for herself and how she always think of other, and love how Damien prove Beth wrong about love. Declan Lewis grew up on the streets until taken under the wing of a man with a soft spot for a child he never had. The man taught Declan all he knew, onlyâ¦all he knew was being a hired killer for the Dantes family. When Declan crosses paths with a girl so unlike himself, he canât help but be attracted to his polar opposite. However, bringing her into his life means bringing her into his world, a mistake that might prove fatal. He wants to be the man she deserves, but to give her what she needs, heâll have to change. And is change really possible for a killer? Ryan Michele's bestselling RAVAGE ME is available now, for free! If you haven't gotten your hands on Cruz and Harlow's story, you do not want to miss out on meeting these two badass characters and their explosive romance! The Unravel by Rebecca Rohman Page Hop runs on our Facebook Page from July 3 to July 6, 2016, with 40 blogs having some AMAZING giveaways! Enter them all for more chances to win! 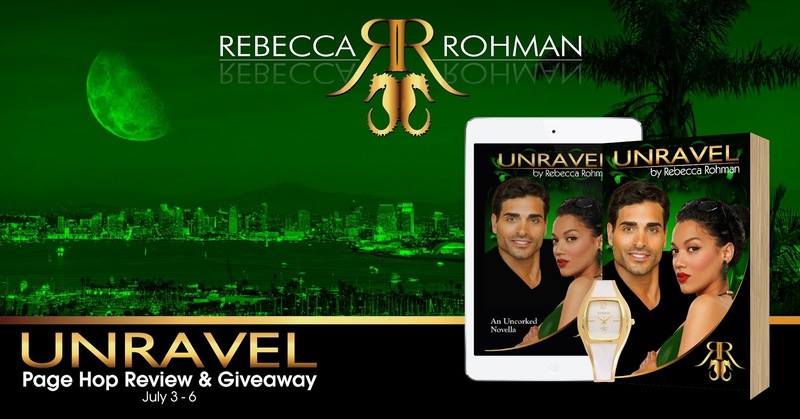 There will be a signed paperback copy of Unravel as a grand prize. Wow just finish reading this book and love it, I read this book in one day couldn't put the book down. This book had me on an emotional rollercoaster, it got me Mad, and Crying like a baby but I love every single minute of it. I am going to keep this short since its not a long story, I don't want to give anything away. Mitch and chella story continue in this book, After being together for the last seven years, and five year married they where living a happy life with their Daughter Michella. They where both doing great at their jobs, the love was stronger than ever and the passion that they had for each other was growing stronger. Until they when away to celebrate their fifth wedding anniversary. After having a hot moment on their alone time, Mitch receive a call that had them heading back to their house on the way back home Chella receive an email. What she was not expecting was that email was going to turn their life upside down once again. I really love and enjoy reading this book I would love to say more about the story but I didn't want to give nothing away. But I could tell you that it will have you seating at the edge of your seat. 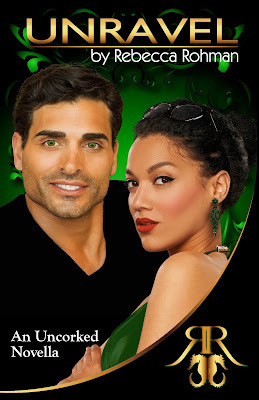 Author Rebecca Rohman THAK YOU once again for giving me the chance to read you Awesome book and for letting me fall in love with these Amazing characters love them.